A Wake County North Carolina jury voted on February 22 to sentence capital defendant Travion Devonte Smith to life without parole, making Smith's case the sixth consecutive Wake County death penalty trial to end with a life sentence. Though Wake County was among the 2% of counties responsible for a majority of inmates on U.S. death rows as of 2013, the county has not produced any new death sentences since 2007. District Attorney Lorrin Freeman said that her office pursued the death penalty in Smith's case because of "the brutality of this murder." Yet the jury needed just one hour to conclude that the 38 mitigating factors offered by the defense - including Smith's troubled upbringing, abandonment by his mother, and lack of access to mental health treatment he had been diagnosed as needing - outweighed the two aggravating factors the prosecution presented. Defense attorney Jonathon Broun also argued to the jury that Smith's actions had been influenced by a charismatic, older and more culpable co-defendant, Ronald Anthony, and that Smith was "not even the worst of the worst when it comes to this tragic and heartbreaking crime." Prosecutors had permitted Anthony to plead guilty to first-degree murder in 2015 to avoid the death penalty. Freeman indicated that the jury verdicts in recent Wake County capital cases may be a signal for her office to reconsider pursuing the death penalty. 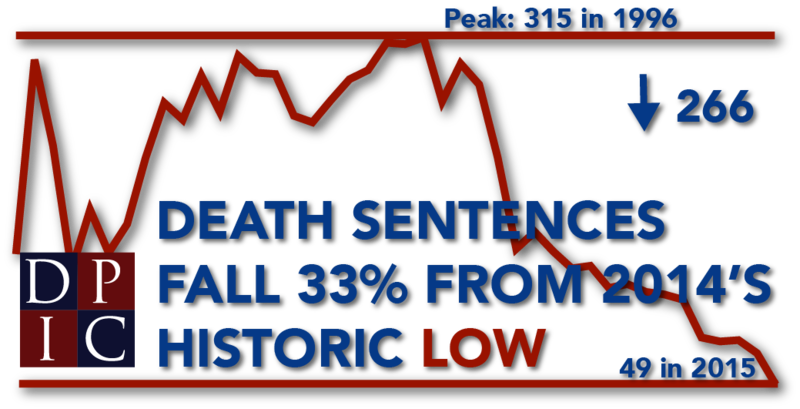 The jury verdicts reflect larger national trends; in 2015, just 49 people were sentenced to death across the United States, a 40-year low that represents an 84% drop from the peak of 315 death sentences in 1996. Broun said, "We can punish people harshly and seriously for first-degree murder without using the death penalty." (A. Blythe, "Jurors recommend life sentence for Travion Smith in North Hills murder case," The News & Observer, February 22, 2016; A. Lamb, "Smith found guilty in North Hills murder," WRAL-TV, February 16, 2016.) See Sentencing.